Do omega-3 supplements protect against Alzheimer's disease? Science may be getting closer to an answer. Omega-3 and antioxidant supplementation helped clear the brain of risk factors for Alzheimer's disease—the beta-amyloid protein and signs of brain inflammation that are hallmarks of the disease—in a small study conducted by the University of California–Los Angeles (UCLA). The study looked at people with mild cognitive impairment (MCI), pre-mild cognitive impairment (pre-MCI), or Alzheimer's disease. 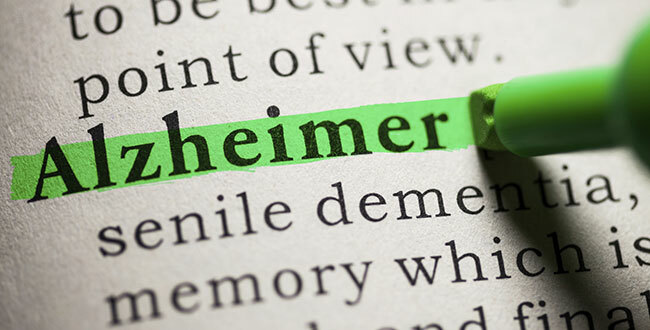 While the supplementation didn't help people who already had Alzheimer's disease, the other two groups saw improvements in the clearing of the neurotoxic beta-amyloid protein from the brain. Alzheimer's disease is characterized by the brain's inability to clear this protein. The protein clumps together, forming plaque that binds to nerve cell areas, causing damage and inflammation. In addition to improving the clearing of beta-amyloid, the supplement helped reduce brain inflammation. Brain inflammation is also at the root of depression, and previous research found that depression might be another risk factor for developing Alzheimer's disease. "This is an interesting possibility of using omega-3 supplements for folks a the earliest stages of MCI, but not to improve memory in perfectly healthy folks or those with Alzheimer's disease," says Mark A. Moyad, MD, MPH, author of The Supplement Handbook. "Keep in mind that there is nothing approved by the FDA [the Food and Drug Administration] for MCI (a risk factor for Alzheimer's)." Dr. Moyad points to the largest study ever conducted on omega-3's and Alzheimer's, done in Stockholm, Sweden. In that study, the researchers found that omega-3s did not have an impact on cognitive decline on Alzheimer's patients, but it did have a significant particular beneficial effect on memory in people with very mild cognitive-function issues. "This current study from UCLA showed similar results with the group with MCI—it might slow the accelerated aging process of the brain tissue, could reduce shrinking or atrophy of the brain, or it could affect the beta-amyloid," he says. "Past studies suggest that there may be a critical window of two or more years before dementia begins when inflammation increases in the brain. Perhaps omega-3 can help with that." Interestingly, he also says that the most common reason people leave studies is because they have trouble swallowing capsules. The UCLA study used Smartfish nutrition, a juice-based supplement with omega-3s and antioxidants. "I know Smartfish well because I am always looking for alternative to large capsules to be used in studies or for patients," says Dr. Moyad. "Although Smartfish can be high in calories, in my opinion it may be a good option for those that cannot swallow all those massive capsules, as mentioned in past studies." Dr. Moyad points out that dietary omega-3s have also showed preliminary benefits in research. "It is better to get omega-3 from your diet if you are otherwise healthy," he says. "For example, salmon is not only high in omega-3, but also is high protein and vitamin D, and is [a food] associated with healthier overall behavior such as physical activity. These things are associated with a lower risk of Alzheimer disease and maintain brain and hippocampus (the memory portion of the brain) health." When in doubt, Dr. Moyad says follow a simple rule: Heart healthy equals brain healthy. "The brain relies on a large network of blood vessels to keep it nourished, and every time the heart beats about 25 percent of blood goes to the brain," he says. "Any disruption in blood flow to the brain is the second leading cause of memory loss." This would be good news for those Alzheimer's disease patient. Hope finally effective treatment would find.